The fallout from Patrick Brown's resignation last week continues to roil Ontario's Progressive Conservatives as members wage an internal civil war over the future of the party and Brown loyalists are ousted. "After two years in this position, I know the party is prepared to take on the hard work necessary to fight this election," he said in a statement. 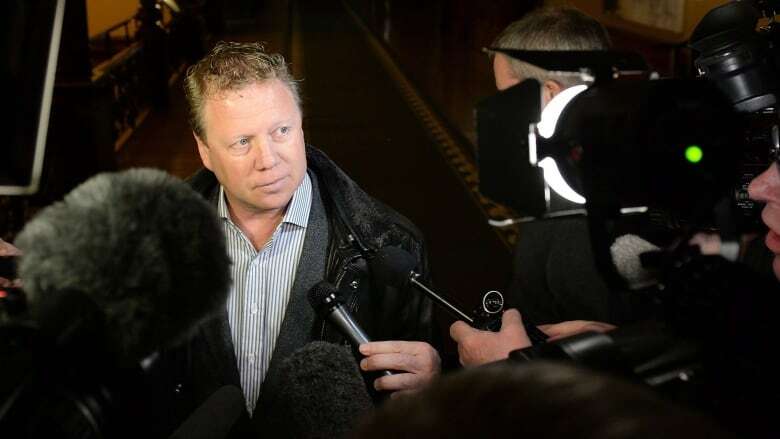 Several hours after Dykstra posted his statement to Twitter, Maclean's magazine published a story alleging he had sexually assaulted a parliamentary staffer in Ottawa when he was an MP in 2014. The report says Ottawa police investigated the complaint. Contacted by phone Monday morning, a police spokesperson said the force could not comment on the Maclean's report because no charges were filed. The allegations have not been proven in court. Dykstra made no mention of the allegations in his public statement. Could the Patrick Brown debacle birth another Canadian political dynasty? What did the Ontario PCs know? And when did they know it? 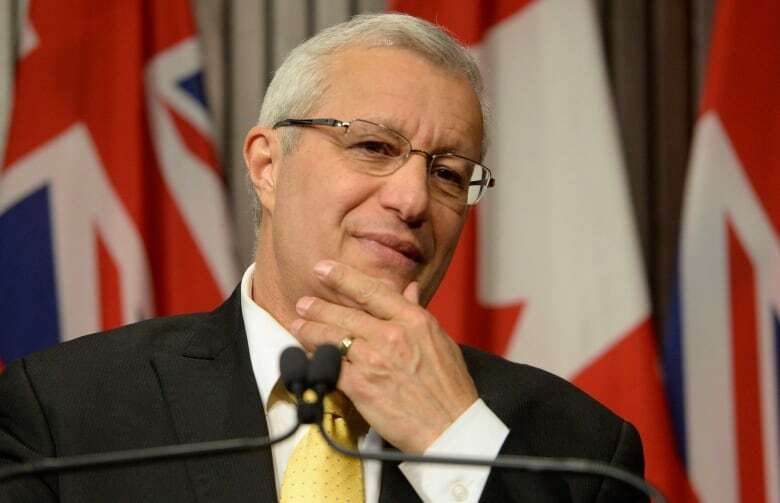 Interim PC Leader Vic Fedeli said he was "shocked and disgusted" when he learned of the allegations. "There is no place for this type of alleged behaviour in our party, in politics or in society as a whole," Fedeli said in a statement. "The Ontario PC Party will move forward with a new president." Dykstra has been replaced by Jag Badwal, a real estate agent and campaign strategist who was previously the party's vice-president. Dykstra's resignation comes after Alykhan Velshi, chief of staff under Brown, who remains in the post under Fedeli, sent a memo to caucus, current candidates and staff outlining changes in personnel at the party. A copy of the memo was obtained by CBC Toronto. Executive director Bob Stanley — among the most senior operatives for the PCs and a noted Brown backer — has been fired. Stanley oversaw a deeply troubled riding nomination process last year, which saw several riding association executives quit in protest that the process had been "rigged" by Brown and his inner circle. There was public criticism of Brown's leadership from senior party members after candidates were chosen. Brown's deputy chiefs of staff, Tamara Macgregor and Rebecca Thompson, have been assigned to different roles and their former positions abolished. Thompson, a communications specialist, formerly worked for former minister of foreign affairs John Baird when he was transport minister. Brown brought her in from Ottawa to hone the party's message heading into an election year. According to the memo, Thompson will be on the PCs leadership election organizing committee, the group responsible for drafting a framework for a leadership race. The party has also eliminated the advisory position held by Garfield Dunlop, who previously held Brown's seat in the riding of Simcoe North but resigned in 2015 so that Brown could hold a seat in the Legislature. Also noteworthy is the return of Nick Bergamini, a former spokesperson for Brown who resigned last week shortly after CTV published allegations of sexual misconduct levied at Brown by two women, dating from his time as an MP in Barrie, Ont. Bergamini will be the party's director of communications. Velshi told party members that Fedeli, who plans his own run at the leadership, was not dictating the changes. "I want to be very clear that these decisions followed recommendations I made to the Leader when he asked me to become his chief of staff on Friday evening," Velshi wrote in the memo. News of the shuffling of top party players comes as the PCs try to contain another internal clash over whether to hold an open leadership race in the coming months or go into the June 7 provincial election with Fedeli as leader. Fedeli was chosen as interim leader at a snap meeting of the 28 caucus members on Friday morning. Some MPPs who spoke to CBC Toronto last week said that a leadership contest would only distract members from the campaign to defeat Ontario Liberal Premier Kathleen Wynne. Just hours after Fedeli was chosen, the party's executive committee opted to hold a leadership race. The move was met with cautious optimism by those who favour an open contest, such as dozens of current PC candidates, including Caroline Mulroney, whose name has been floated as a possible leadership contender. In an email sent out to party members, the president of the Eglinton-Lawrence riding association in Toronto urged the party to stick to its decision to initiate a fair and open leadership race. "The Ontario PC Party is not made up of 28 people. It is made up of over 200,000 people," said Clare Schulte-Albert. "This is a democracy, and we must all have a say in who we vote as our leader." Schulte-Albert said she has started a petition urging the executive committee to reaffirm its earlier decision. On Sunday afternoon, the PC campaign chair and longtime friend of Brown, Walied Soliman, posted a tweet saying "while we have been thrust into picking a new leader, I cannot stress enough that we should not change course," referring to the strategy Brown and his team have put in place. "I urge everyone to stay positive and to stay focused. This is not the time for pettiness and winners and losers," Soliman wrote. Also Sunday, Toronto Mayor John Tory, who is a former PC leader, confirmed he will not be running for the party leadership. "I have a job here that's keeping me fully occupied and there is so much to do here in the City of Toronto," he tweeted. An earlier version of this story said Rick Dystra resigned his position as PC party president after Maclean's published the article containing allegations against him. In fact, Dykstra resigned several hours before the article was posted. An earlier version of this story said Rebecca Thompson worked for former minister of foreign affairs John Baird under then-prime minister Stephen Harper. In fact, Thompson worked for Baird when he was the transport minister.